Temperature, temperature temperature – it’s been a bit of a theme for me over the last couple of weeks – it must be something to do with the incoming summer weather. A few days ago I finished my temperature monitor display board to allow me to keep an eye on the Pi’s temperature at a glance, and today I’m fitting some fancy heat sinks from AlienSpec. 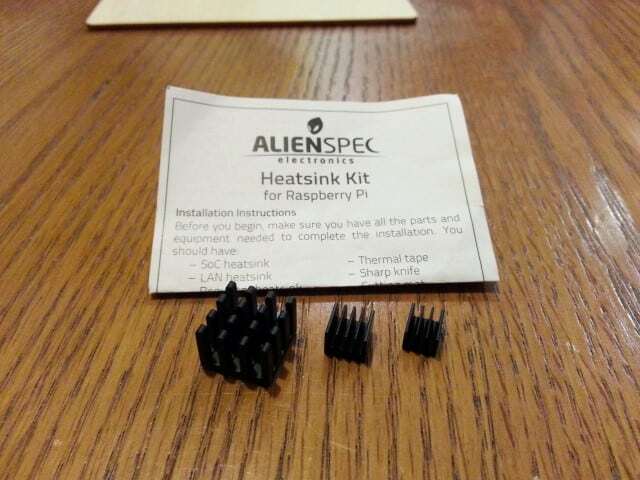 AlienSpec offer a smart option for those wishing to trick out their Pi with some heat sinks, giving you 3 matching units to cover different components of the Pi that can generate heat. 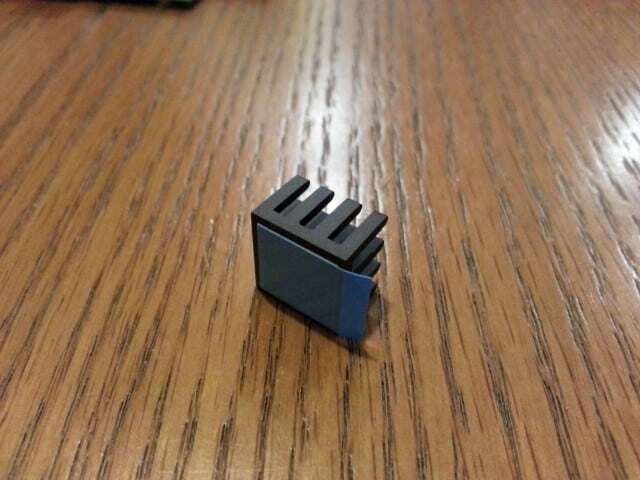 Before I start, I must declare that I’m ‘pro’ heat sinks. I think they add value, but that ‘value’ is a specific thing for different people. 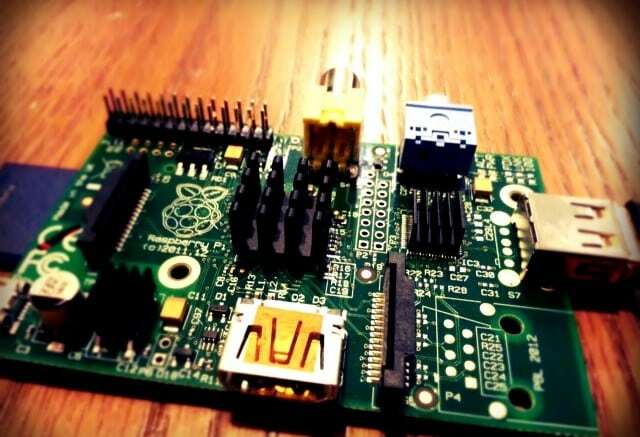 See the thing is, there are some old school technology types out there that question the use of heat sinks on the Pi due to the reasonably cool and calm nature of the board and its components. 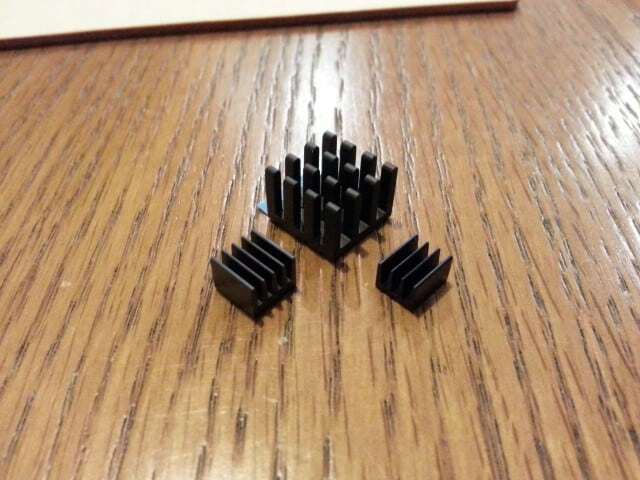 Other groups, such as PC gamers and overclocking enthusiasts, can see no reason not to add heat sinks as the general rule of ‘cold is gold’ is assumed. Then, there are the the people like me, taking all those views in and turning it all into any reason possible to buy another part for my Raspberry Pi. From my days with Windows adding bigger and better heat sinks, more and more fans and constantly monitoring components, I have a slight OCD streak in me around temperature that I just can’t shrug off. Then there’s the aesthetic side as well – a bit of solid machined metal is just one of those things I struggle to resist. I like to think that heat sinks are worthwhile for any heat-generating component, and that if all else fails – they just simply look cool. 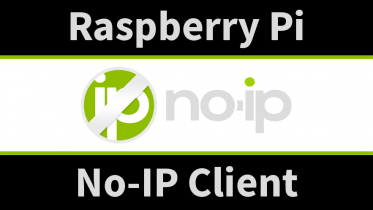 I imagine a lot of people buy them just for the look – but if that makes you happy and doesn’t damage your Pi – why not? Go for it, enjoy it, and carry on learning. Unlike some of the other offerings that only cover the SoC, AlienSpec want you to stay cool – cooler than Will Smith in the freezer. To do this, they also include a matching heat sink for the regulator and the LAN chip. 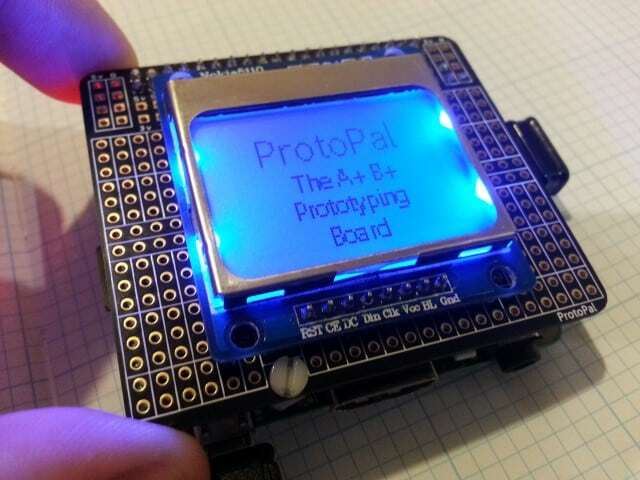 This improves the look of the board whilst helping to keep other parts cool at the same time – win win. Fitting is simple and just requires a bit of thermal tape cutting. If you used to follow Blue Peter and Art Attack as a child, you won’t have any problems with this – although I was a bit of a plonker and nearly used the LAN heat sink on my Model A (the Model A has no LAN chip!). The two smaller heat sinks require you to cut the provided thermal tape to size, then apply and stick on the Pi. 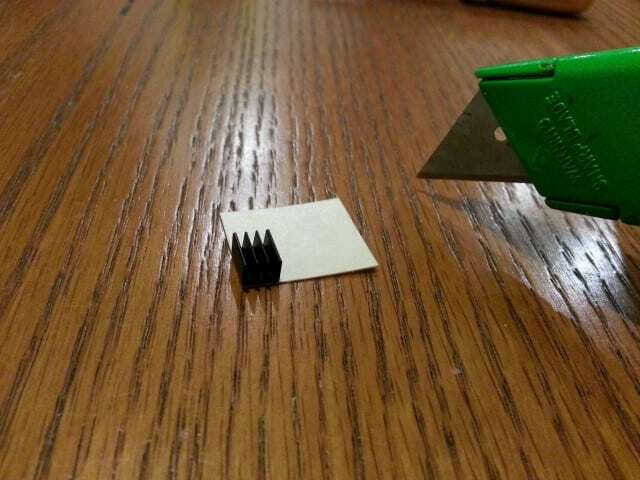 This is as simple as using the heat sink as a template and tracing around it with a knife. Whoops…LAN heat sink on a Model A? Plonker! 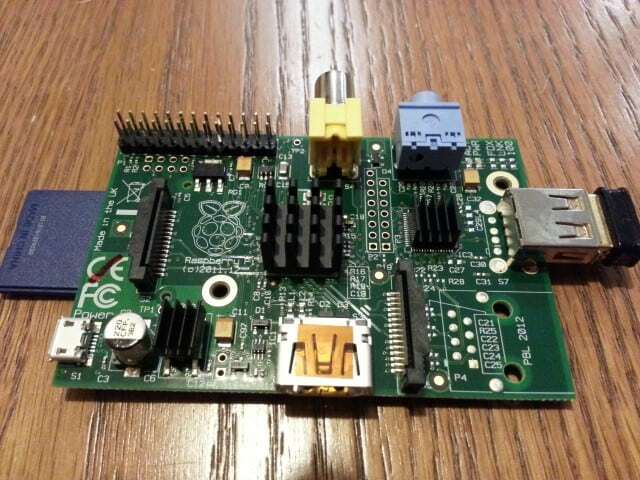 Be the first to comment on "Adding Heat Sinks to a Raspberry Pi"